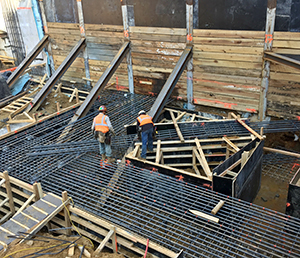 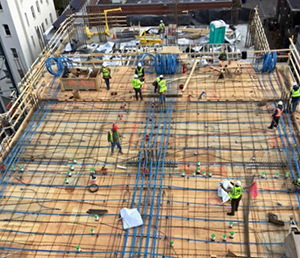 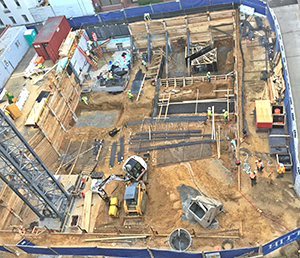 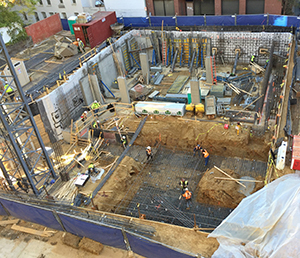 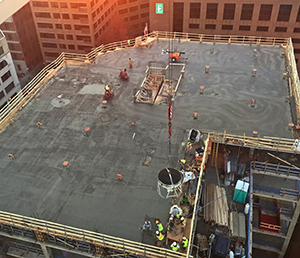 Located in DC’s West End, the 1255 22nd St. apartment conversion project combined the substantial renovation of a sophisticated seven-story building and a new adjacent nine-story frame concrete building. 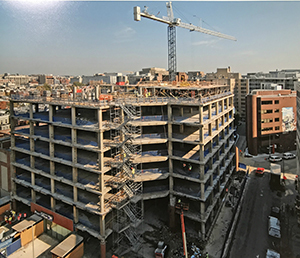 The two buildings were connected at the third floor, which required the addition/enhancement of footings at the existing building to support new columns extending from the basement to the third floor. 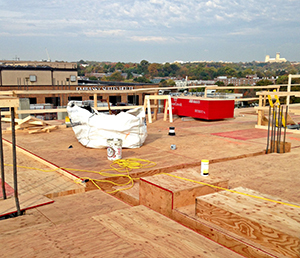 Renovation at the existing building also included the construction of two framed concrete decks above roof, and the addition of multiple infill/curbs. 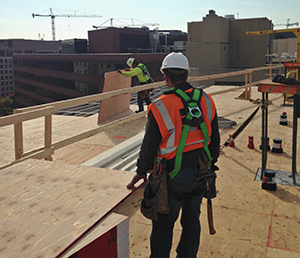 The greatest challenge of this project was working on both buildings simultaneously.